A lovely arrangement in a mix of spring colours, perfect for any occasion. 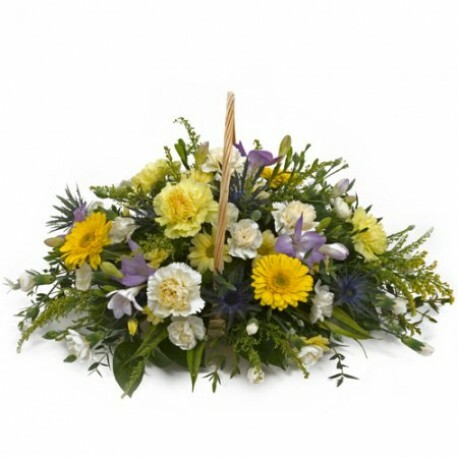 This basket contains a delightful mix of florist selected blooms including gerberas, freesias, and carnations set within green foliage presented in a basket. Container may vary. Please contact us to discuss what we have available.